The SG9665GC is using the Sony Exmor IMX322 CMOS sensor instead of the Aptina AR0330. These 3 changes have resulted in better video quality. Video quality during the day is very good and night quality is good, probably some of the best night footage available today. (Update April 2016: Note the exposure problem and blurry video problem below for some owners). The SG9665GC records 1080p at 30f/s with an average bit rate of approximately 15,000kpbs. 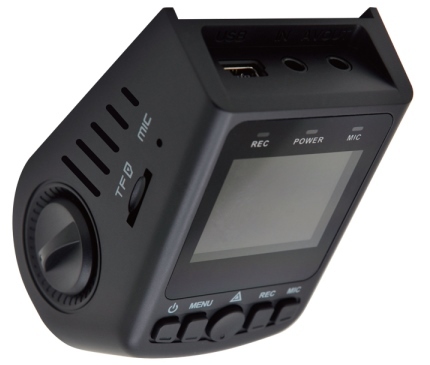 The camera comes with a 1.5″ screen and an external GPS module is included. 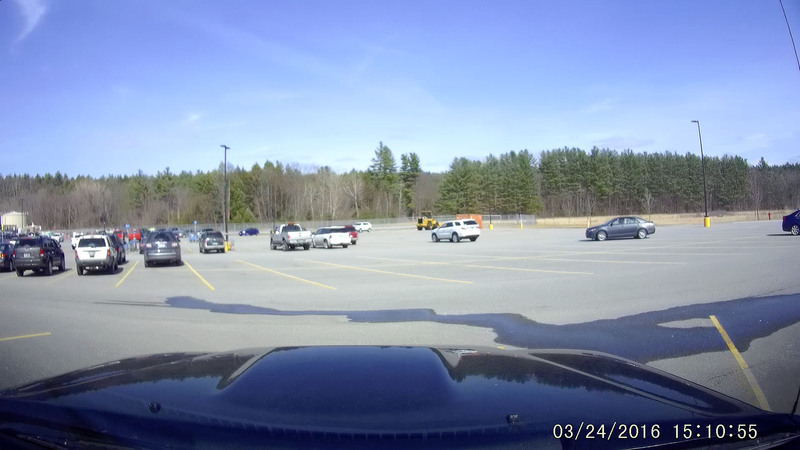 The camera does not have buffered parking mode or WiFi. The other benefit of the SG9665GC is that there is currently 1 source for the camera, unlike the B40 which is produced by numerous manufacturers. Also there is extensive support for the camera by the manufacturer and resellers and they are very active in our dash cam forums. Build quality is is quite good and on par with the B40. The size of the camera is 72mm x 52mm x 43mm. 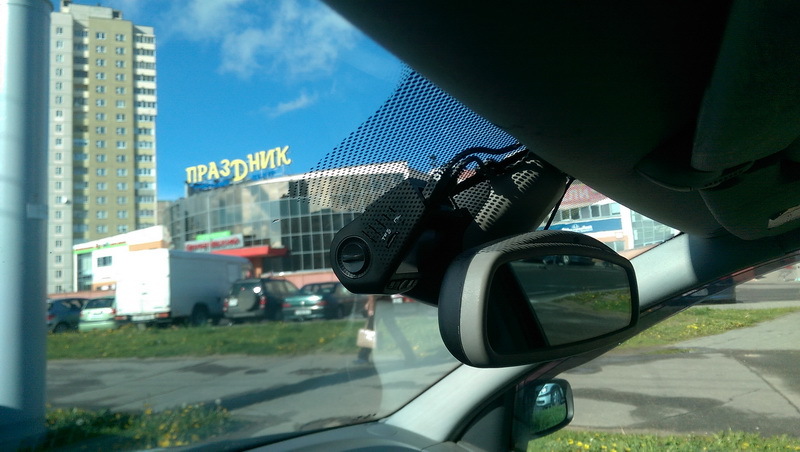 While not the smallest camera, the form factor makes this camera quite discreet when mounted in a car for a number of reasons. 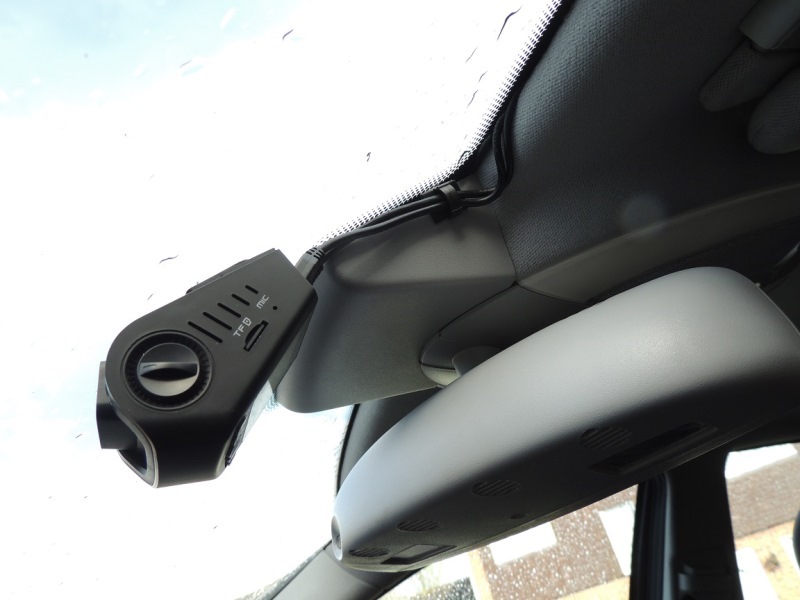 The camera mounts directly to the windshield rather than using a large mount. The shape of the camera is also quite good for discreet mounting. 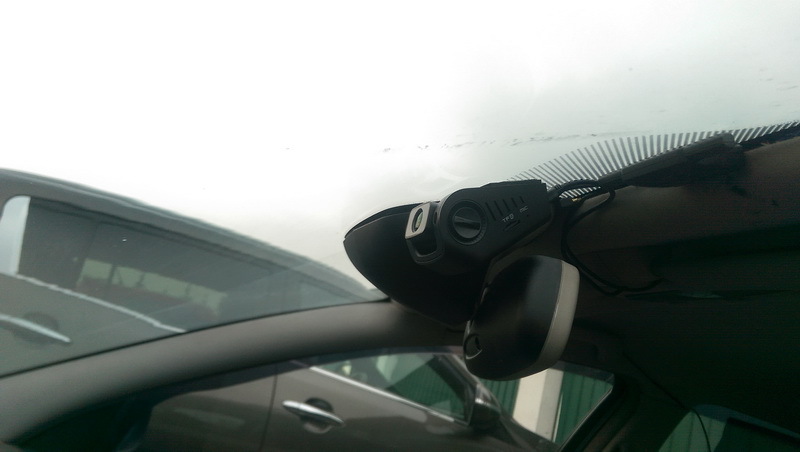 It can be mounted high up on the windshield so that only the lens is visible from the outside. At the end of 2015, V2 was released with camera serial numbers SGGC-Bxxxxxxxx. A number of owners have indicated that the SG9665GC has trouble transitioning from dark to light scenarios (coming out of a tunnel, transitioning from a tree canopy to bright light). The video gets washed out / too bright after going though a dark scene. The following video demonstrates the problem. Some owners have minimized the problem by angling the camera up 1 notch and trying to get less of the car’s hood in the video. Dark hoods may make the problem appear worse. The CPL filter does not seem to fix the problem. We are not sure if this is a widespread problem yet. You can read more about it on our forum. A handful of users have also indicated the SG9665GC has blurry video when the temperature changes. We are not sure how widespread this problem is. Click on the following picture to see the issue. You can read more about it here. 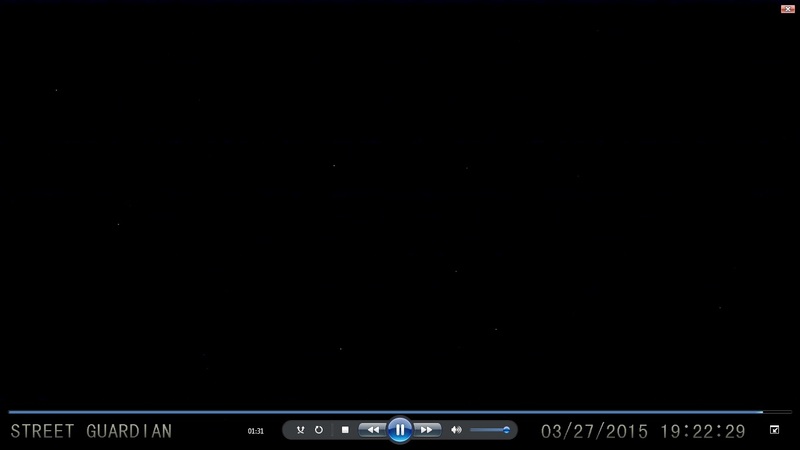 Numerous owners have indicated that the SG9665GC has “hot pixels” which are noticeable in night videos. The following image illustrates the problem (right click and view image to see a larger image). This typically can be corrected via a calibration process. The instructions for calibration can be provided by the seller via email or can be requested on the SG9665GC forum. A handful of owners are getting interference with their FM radio or other onboard electronics (TPMS sensor). This appears to be a problem with the originally supplied power cable. A new power cable is currently being provided which should address this problem. 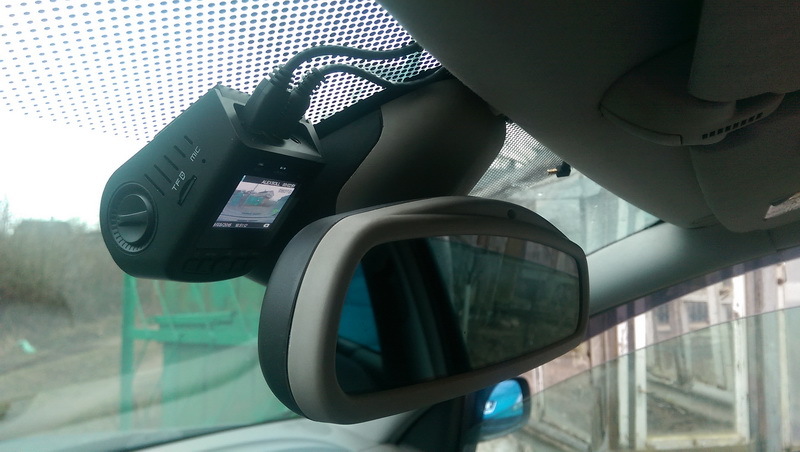 The external GPS was designed to be installed on the dash with the “GPS logo” facing upwards. 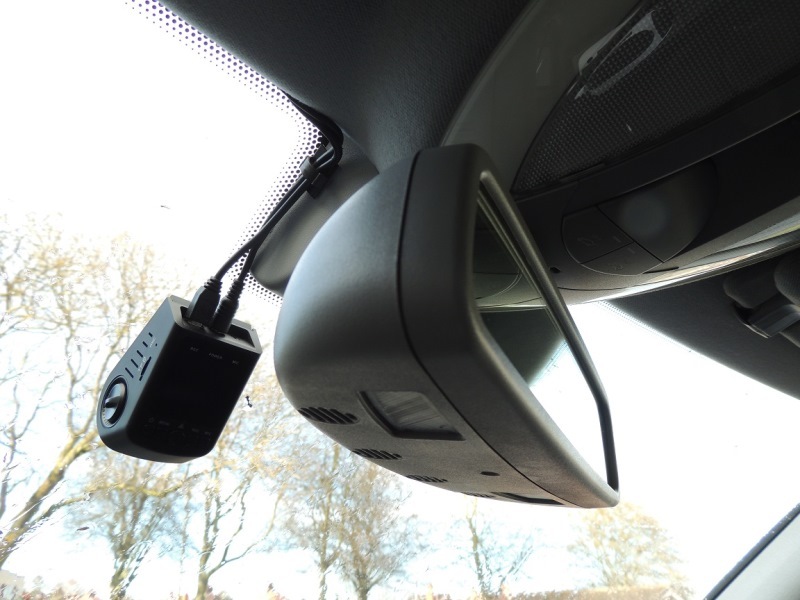 Some owners want to mount the GPS on the window which would result in the GPS facing the wrong direction (downwards). 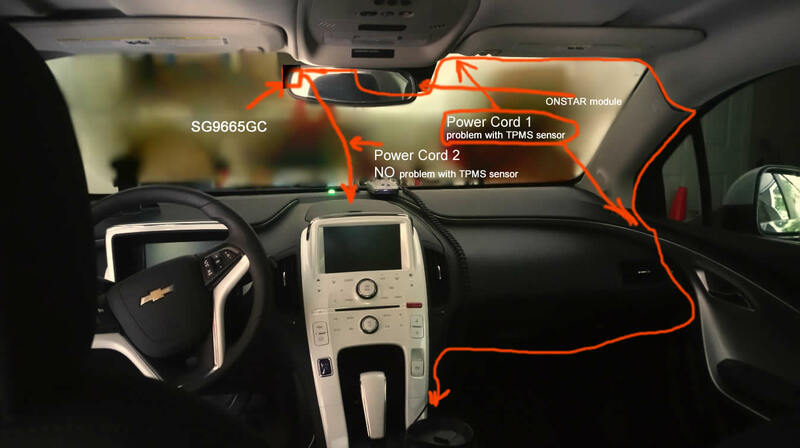 To address this, you can manually flip the GPS antenna as per the video below. If you are a fan of the B40 dash cam, you will be very happy with the SG9665GC given the improvements in video quality. Reliability appears to be very good and Street Guardian provides some of the best pre-sales and after-sales service (via the manufacturer and sellers). At $150, price is much steeper than the B40 but if video quality and support are your most important purchasing factors, it is difficult to beat the SG9665GC. Just note that the SG9665GC does not come with buffered parking mode or WiFi. As of April 2016, some owners have indicated the camera has exposure and focus problems. Currently evaluating how widespread these problems are. See what other owners have to say about the SG9665GC on our forum. There are a few places to purchase this camera from. Price is approx $150. The latest firmware can be found at the Street Guardian Site. Final Word All around an excellent camera with good support. A bit on the pricey side for a single camera and no pre-buffered parking mode.